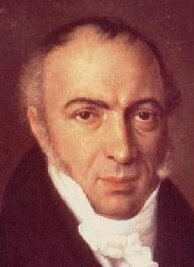 Niccolò Cacciatore was an Italian astronomer who was Guiseppe Piazzi's assistant at Palermo Observatory before taking over the directorship himself in 1817. He is best remembered for being the only person to name two stars after himself – Sualocin (Alpha Delphini) and Rotanev (Beta Delphini). Read backwards, these become Nicolaus Venator, which is the Latinized form of Niccolò Cacciatore (in English, Nicholas Hunter). The names first appeared in the Palermo star catalogue of 1814 and it took some detective work by the English astronomer Thomas Webb to unravel their origin.